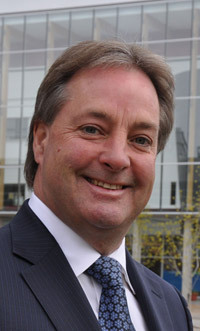 Kelowna businessman and community volunteer Brad Bennett and filmmaker Deepa Mehta will receive honorary doctoral degrees at this June’s Convocation ceremonies at UBC’s Okanagan campus. Deepa Mehta is a Genie Award-winning and Academy Award-nominated Indian-born Canadian film director and screenwriter. She began her career as a television and motion picture editor, producer and director, after coming to Canada from India in 1973. 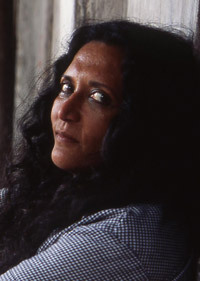 In 1996, Mehta wrote, directed and produced Fire, the first film in her “elemental trilogy.” It became the subject of controversy in India as Hindu fundamentalists pressured the Indian government to ban the film because of its lesbian content and questioning of the destiny of marginalized Indian women. The film went on to receive 14 international awards. The next instalments, Earth and Water, also drew critical acclaim. Water, centering on the practice of child marriage and the treatment of widows, was nominated for an Academy Award in 2007 (Best Foreign Film) and won three Genie awards, including best film. Mehta also directed several English-language films set in Canada, including The Republic of Love (2003) and Heaven on Earth (2008) which deals with domestic violence. Convocation ceremonies will be held at UBC’s Okanagan campus on Thursday, June 9, and Friday, June 10. Both honorary degrees will be conferred during ceremonies on June 9. Brad Bennett’s honorary degree will be conferred at the 12:30 p.m. ceremony, and Deepa Mehta will receive her honorary degree during the 3 p.m. ceremony.